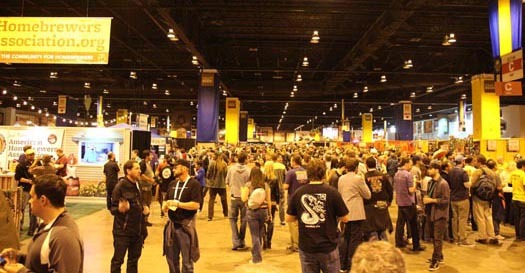 It was a full house at the Colorado Convention Center as the 2013 Great American Beer Festival kicked off with Session 1 Thursday evening. 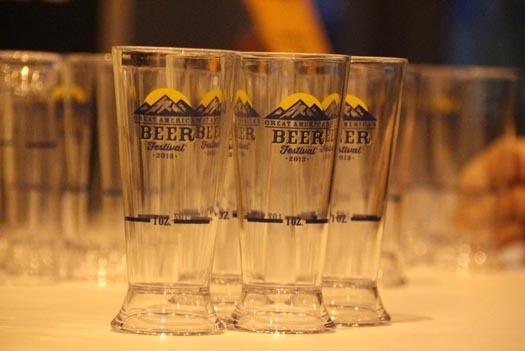 Thousands of craft beer enthusiasts from around the country and beyond descended on downtown Denver to enjoy 3,100 beers from over 600 U.S. breweries. 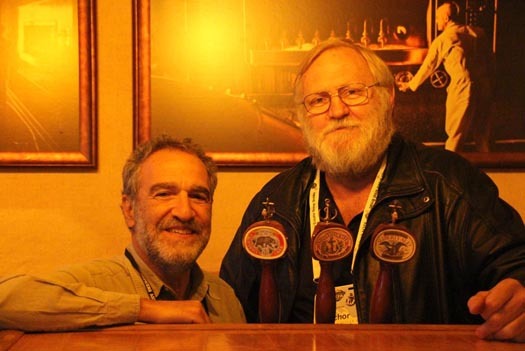 Before the session started, Brewers Association President and GABF founder Charlie Papazian stopped by to enjoy an Anchor Steam Beer with our own Bob Brewer, a tradition that Bob says the two have enjoyed for many years. 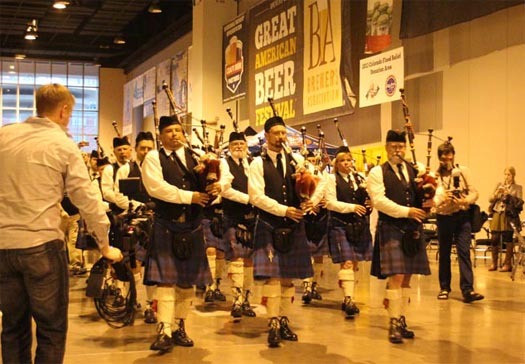 As session 1 got underway, the traditional bagpipe procession made its way through the exhibit hall, adding to the festive atmosphere. 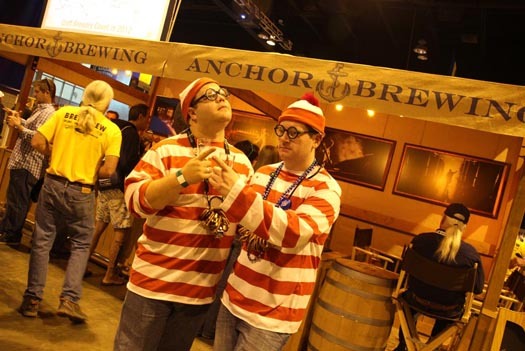 GABF is a great opportunity to connect with friends new and old to catch up, talk about beer, and of course, enjoy an Anchor brew. 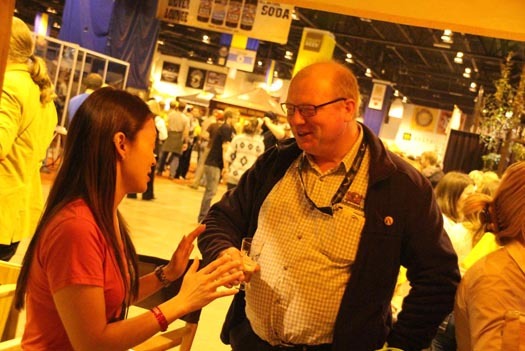 Our own Belle Rosin with Rick Kempen from European wholesaler Bier & Co. 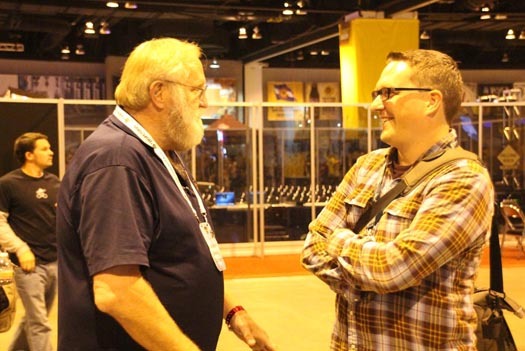 Speaking of old friends, several of the Anchor crew visited the Brewers Studio Pavilion for “Michael Jackson Remembered,” a panel discussion about the legendary beer writer and television host whose influence is still felt across the craft beer landscape. 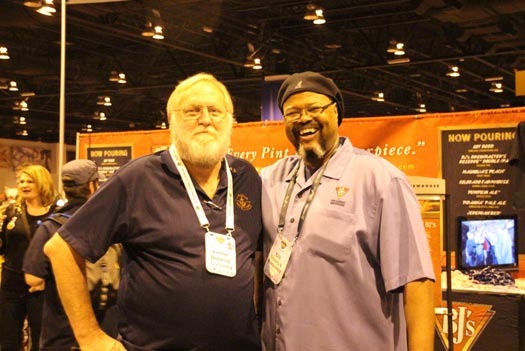 Great memories were shared, including a story or two about Jackson’s relationship with Fritz Maytag (pictured below right) and Michael’s love of Anchor Steam Beer, which was poured for the audience. 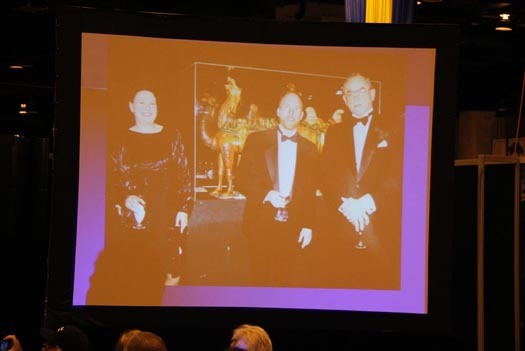 We raised an Anchor to Michael along with those in attendance, and enjoyed the program. 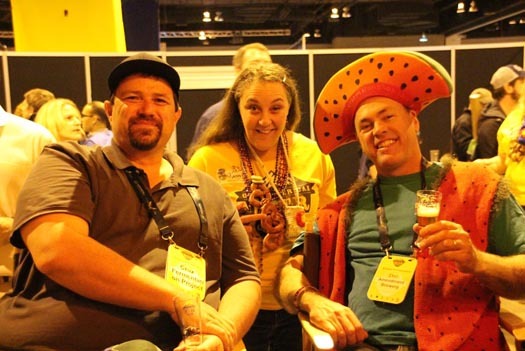 Cheers, Michael. 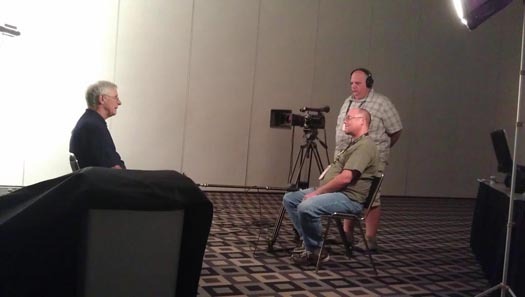 You are certainly missed. 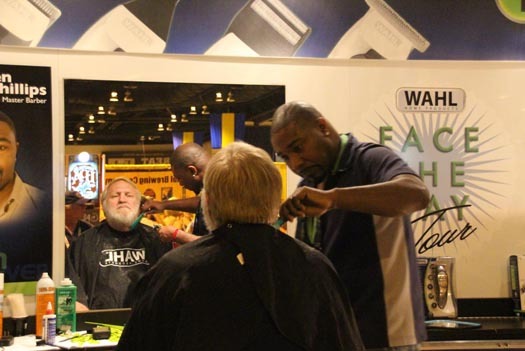 Folks in the brewing industry have long been known for their beards, and complimentary beard trimming was available again this year at GABF – a service that Bob took advantage of right away. 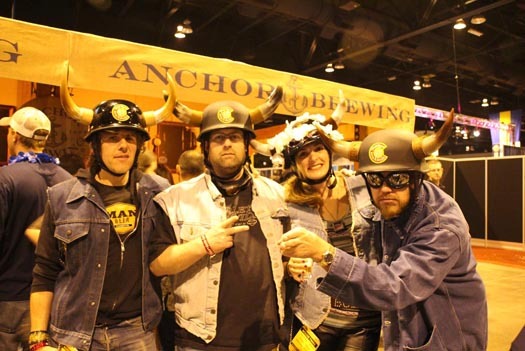 As always, there were plenty of colorful characters in attendance who stopped by to enjoy an Anchor brew (or two). 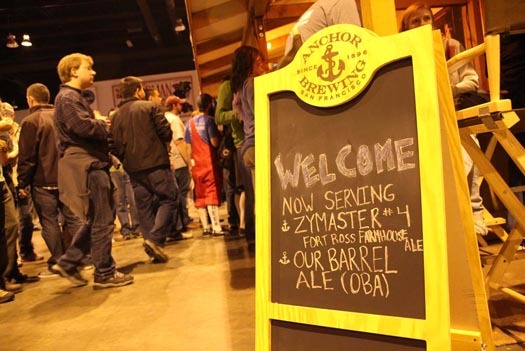 Here’s what’s on tap for Session 2 tonight at 5:30 pm. 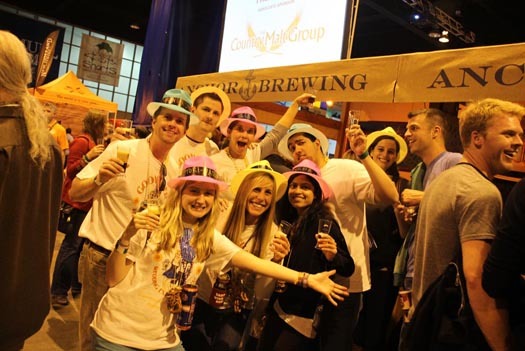 If you’ll be in attendance, stop by and Raise Your Anchor!